Our commitment: Offering you moments of happiness! Your time is precious. For this reason we make sure that we respect the time of your appointments, in order to avoid unnecessary delays. It is our objective to make each of your visits to Spa Escale Santé an exceptional experience – you know that the quality of your treatment is our utmost concern. We favour using products, material and equipment that are renowned for its high-quality performance. 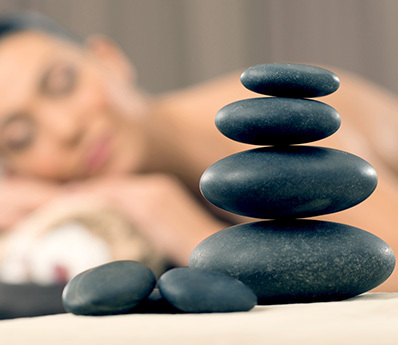 Always with the aim to offer the ultimate experience in body treatment, we never compromise on quality. This is what makes the difference and we are happy that you can experience it. Whether in therapeutic or relaxation applications, our treatments respect without a doubt the highest standards and are renowned in the world class spa industry through the rigorous application of a quality management system. A continuous refinement process of the quality of our services has been set up with the aim to meet and surpass our guests’ requirements and expectations. You can relax in all tranquility. All members of our highly-competent staff have several years’ experience and thorough background knowledge of their profession, allowing you to relax in all serenity. Our staff guarantees you an unparalleled experience. Moreover, Spa Escake Sané subscribes to policy of continuous training and development for all its members. Spa Escale Santé uses state of the art computer systems that analyze the physical and chemical parameters of the pools and continually adjust these 24h/day. Our technical staff manually crosschecks the data four to seven times a day, which is twice as often as legally required. The salt and alkaline content as well as the water hardness are also verified daily with the same frequency. The control logs can be consulted and our technicians are happy to answer all your questions. Finally, our maintenance team guarantees the highest standars of higiene and cleanness 24 hours a day, seven days a week. Spa Escale Santé adheres to sustainable development guidelines and is equipped with an ionized water fountain, from which you can fill your water bottles at any time. What are the benefits of ionized water? It contributes to maintaining our organism’s acid base balance. This water has all toxic substances removed through filtering and is enriched by minerals in ionic form. This highly alkaline pure water eliminates chlorine, hydrocarbons, pesticides, viruses and bacteria. It stimulates vitality, combats the ageing process and strengthens the body’s immune system. 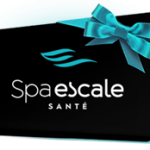 Spa Escale Santé is committed to and concerned with the quality of life of its fellow citizens and thus proud to contribute to privileged partnerships with certain organisations in its local community. To make your visit to our Spa easier for you, a large parking area adjacent to the Spa is available to you.